Cuoco even went on to be a spokesperson for Proactiv, the line of acne treatment products that many people swear by. The latest pic that has everyone talking about her skin was posted over the weekend. 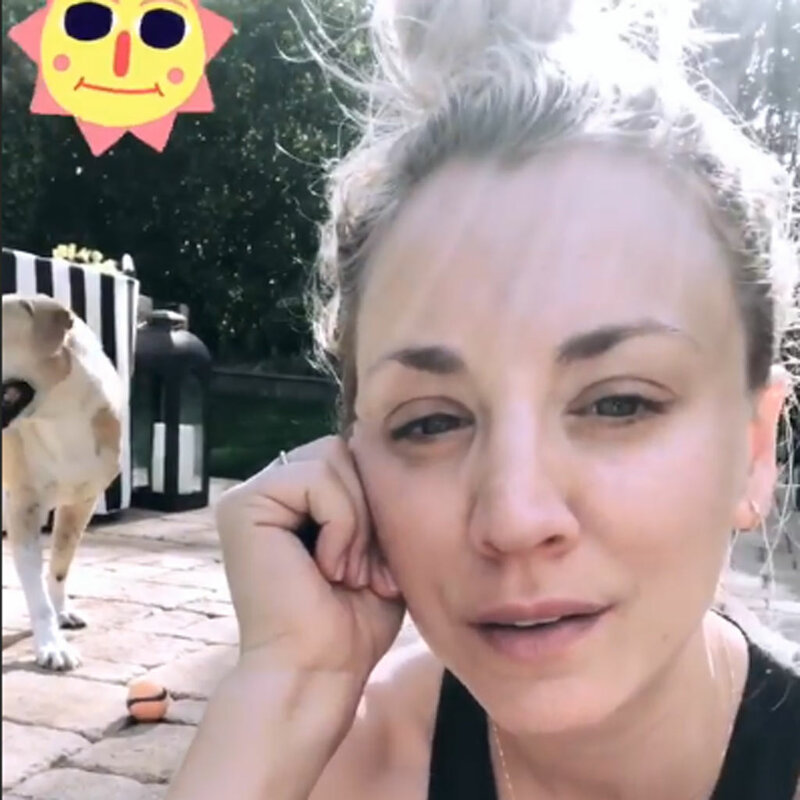 Cuoco appears to be chilling out in the backyard with her dog on a sunny day. She looks comfortable and casual with a messy top-bun, but people can’t stop noticing how clear and glowy her complexion looks. She’s taken to social media in the past to discuss skin care products she loves. But although this post was all about playing with her dogs, it was her amazing skin that stole the spotlight!